Japanese 2-wheeler giant, Honda, has now revealed its line-up for the Auto Expo 2016. Hondahas announcing that it will be showcasing 10 new models this year, which includes 6 new products for India & 4 concept models in addition to the Honda’s MotoGP bike RC213V. Honda had already teased us with the name of its all new upcoming motorcycle, which in fact will be called Navi and will be showcased at this year Auto Expo. Honda claims that with the development concept of ‘New Additional Value for India’, the NAVI is set to excite the young trendsetter of India and create a new segment in Indian 2wheeler landscape. Now were are not sure how far will this upcoming motorcycle live up to the claim, but one things is for sure, with Bajaj set to unveil its all-new executive commuter in February 1, Hondacouldn’t have chosen a better time. In the motorcycle section we will be seeing the new Honda CBR400R that share some of its style cues with the Honda CBR1000RR. 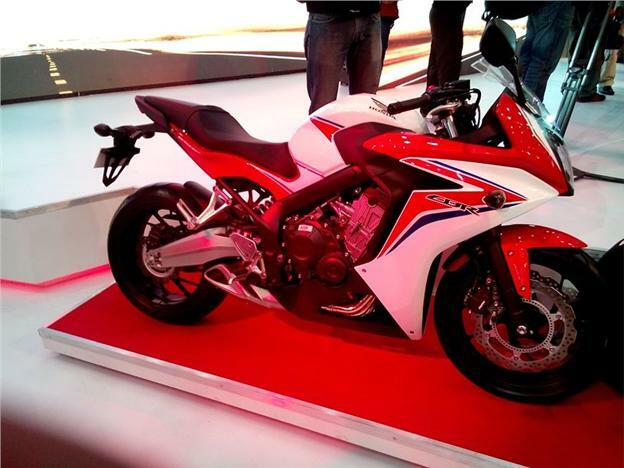 We might also get to see the much anticipated racing spec,Honda CBR250RR which was revealed earlier in 2015. Lastly, we are also expecting to seeHonda’s contender for the performance adventure motorcycle class – Honda Africa Twin. Thebike will be unveiled in India for the first time. We can also expect to see concepts like EV-Cub Concept (a short-distance environmentally friendly personal commuter) and NEOWING (a three wheeled hybrid trike). Despite of all these the biggest showstopper in Honda’s stall will be the ultimate racing machine,Honda’s Moto GP weapon – the RC213V. The bike will be coming to India for the first time and Indian biking enthusiasts will get the chance to mount & experience the ultimate racing machine.